No homeowner wants to deal with a damp or wet basement, which is why NV Waterproofing & Foundation Repair provides the best basement waterproofing solutions available. Since 1986, our team of experienced technicians has solved underlying water problems for thousands of homeowners. We provide comprehensive wet basement solutions - including exterior waterproofing and interior water management systems - to resolve your home's water problems once and for all. If you have water in your basement or want to learn more about our basement waterproofing solutions, call us today at 1-855-649-7594 or click below. We offer free estimates in Arlington, Washington D.C., Alexandria and many surrounding areas. Additional contributing factors may include poor surface water drainage, clogged French drains, broken sump pumps, and high water tables. Also, most homes that are more than a few years old have a waterproofing system that has degraded or been compromised to some degree. 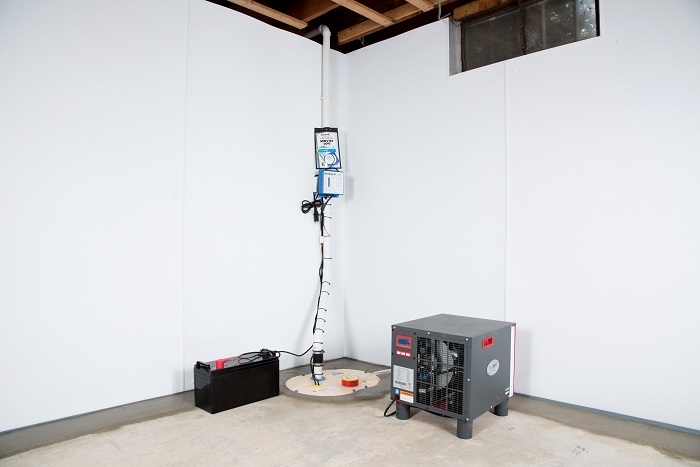 The combination of significant water pressure and suboptimal waterproofing systems often leads to wet basements. Our team will remove a portion of the concrete slab immediately next to the affected foundation walls. Then we'll dig an interior trench in the treatment area. Next, we'll install a subfloor drainage system. 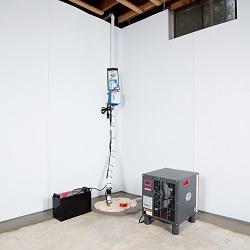 This will evacuate water from below your basement walls and floors and move it away from your home through sloped, perforated piping connected to a sump pump or redirected to your home's exterior. Our team will excavate a trench around your foundation and clean the foundation wall thoroughly. Next, we'll repair or replace damaged cement parging and seal cracks, seams, holes, imperfections and subgrade pipes. Then we'll apply liquid rubberized sealant to subgrade walls and install drain board paneling on treated walls. 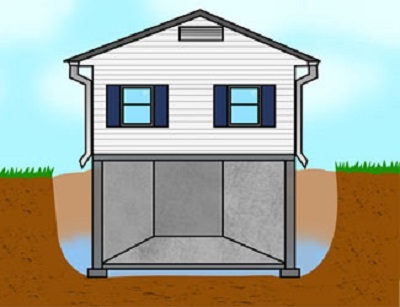 Lastly, we'll install a drainage system that moves water away from your home through sloped, perforated piping connected to a sump pump or redirected to your home's exterior so water can't penetrate your home's foundation walls. 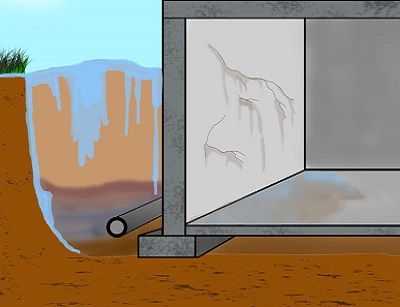 Locally-owned and operated company: NV Waterproofing & Foundation Repair is the locally owned and operated member of the Basement Systems network. We have products and training that simply can't be beaten! Our crews of waterproofers are experienced, well-trained professionals who work in basements and crawl spaces every day. The experts at NV Waterproofing & Foundation Repair have seen it all, and we know just what it takes to keep your basement dry all the time! If your basement leaks or floods, or you have mold, mildew or a musty smell, call us today to request a free basement waterproofing estimate in Washington D.C., Arlington, Alexandria, Ashburn, Gaithersburg, Sterling, Bethesda, Gainesville, Silver Spring, Fairfax or nearby. We will send one of our certified basement waterproofing specialists to visit your home and conduct a thorough inspection of your home's basement foundation.